This picture is from a recent trip to Berlin's Egyptian Museum. 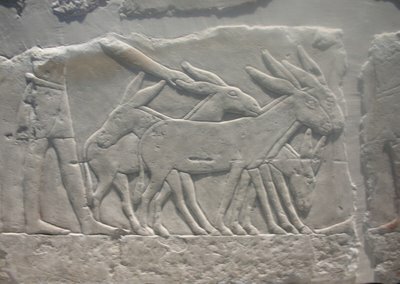 My art weakness is animals, and this Egyptian Relief above is an excellent example of how animal depictions in art translates the sublime. 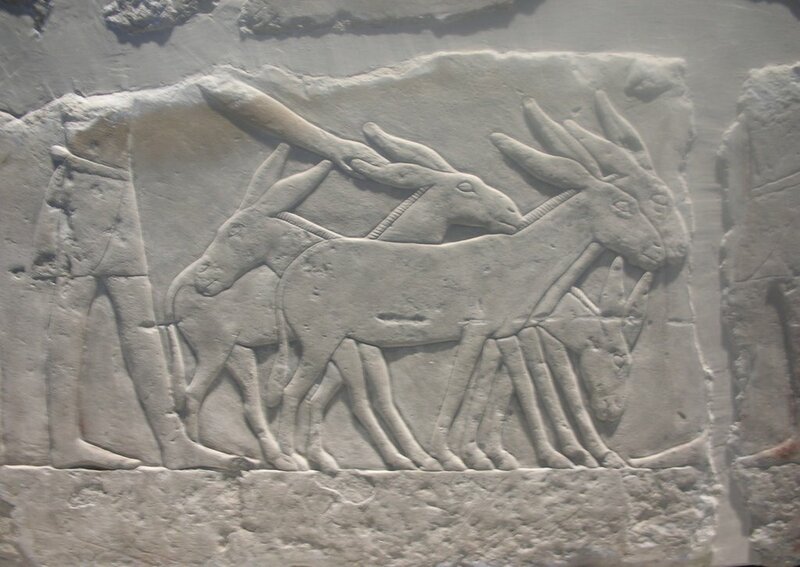 The donkeys are so sensitively chiseled by the artist that you almost forget they are made of stone and then you see the worker's hand almost caressing thier long lovely ears---it is heavenly. The Egyptian murals and reliefs were supposed to depict the life of the Nile so that the departed Kings would have the wealth of its' fertility in the next life. I am always struck by the lively playfulness of the depictions of common life, especially when compared to the serious and stoic sculptures of the Pharos. They are almost bursting at the seems with life's beauty.